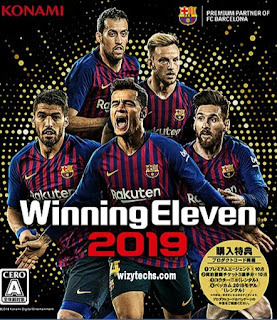 WE 18 Apk is a modified version of Winning Eleven 2012 Mod for the year 2018 and 2019. The legendary football game is loved by many gamers around the world although in Asia it's known as Pro Evolution Soccer 2012 Mod. So if you are one of the fans of WE 2012 game, you may need to download this latest WE 2018, WE 19 apk Mod for Android devices. 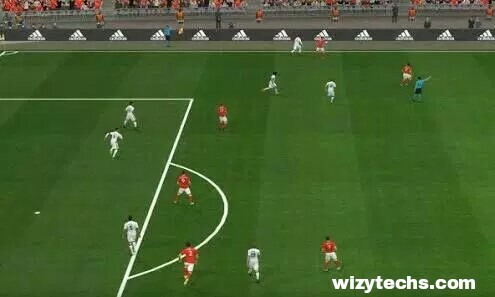 Because of the popularity of Winning Eleven game, many developers has modded different versions including WE 12, WE 2013, WE 2014, WE 2015, WE 2016, WE 2017, WE 18 and now WE 2019 apk. Thanks to Konami Franchise for initially developing this game and making it one of the most played football games of our time. 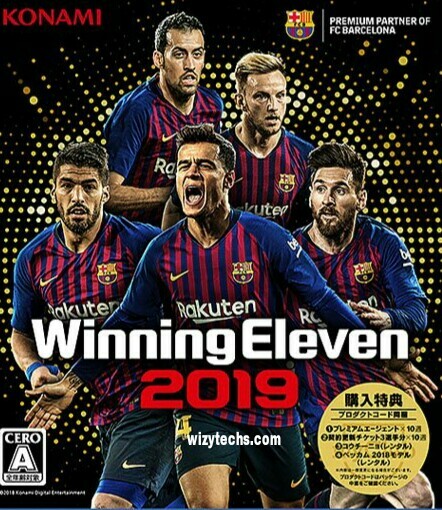 Winning Eleven 2019 is a mobile football game which works on Android devices and is free for all Android users to install and play. It is one of the oldest soccer games around but has received several updates with WE 19 being the latest and succeeds WE 18. Winning Eleven 2012 Mod 19 game is totally free to download and install on your device through the direct download link on this blog wizytechs.com. Winning Eleven is also an offline game meaning you don't need data plan to play it as it's the case with most versions of FIFA games and PES games. Note that WE 2012 mod 2018, 2019 apk is available on Android and PC versions but to install it on iOS Devices (iPhone, iPad), you would have to download WE 2012 PPSSPP ISO and play with an Emulator. However, I have focused on the Android version of the game in this context but in my subsequent updates, I will provide download link for WE 2019 PC version. WE 2019 apk file size is just 290 MB which can be comparable to lite games such as FTS 19 and DLS 19 so it won't choke up your device memory and won't require high end configuration to play smoothly. ✔️ This latest version of WE 12 Mod 2019 Apk features super stars like Messi, Ronaldo, Pogba, Sanchez, and Hazard with new players like Mohamed Salah and kylian Mbappe also showing their talents and cheats. It also features legendary stars like Beckham, Anelka, Tevez, Lampard, Gerald, Roberto Carlos, Drogba, Dida, Rooney, Figo, Tevez and many others. For those who want to go back to history. ✔️ Referees can be seen on the pitch. ✔️ Players’ jerseys get dirty depending on the condition of the field. ✔️ Cautions for repeated offenses. ✔️ Download WE 2019 Apk + OBB Data Here. ✔️ First off, download WE 2019 Apk full obb mod data from the link provided above. ✔️ Now move the extracted OBB folder to this path: sdcard>Android>obb. ✔️ Finally, go to the game file and install it. Locate the apk file, tap to play and enjoy the game play. Note: don't expect a very good graphics on this game as it's a basic football game with low quality graphics and player emotions. If you need a game with better and realistic graphics, then you need to download FIFA 19 Iso or even PES 19 which requires over 1.3GB data and more memory space to install.